Candian Studio, Liquid Media Group, has reportedly acquired the rights to 65 Acclaim Entertainment video game properties for $1 million. The fellow Canadian company, Throwback Entertainment, originally bought the collection of titles from Acclaim after its collapse in 2004. Website Geekwire has published the full list of properties acquired by Liquid Media. More than half of the games listed are sports titles. This includes a variety of racing games and multiple entries in the NBA Jam series. There are also plenty of NFL and baseball titles. Beyond sports series, the list features Bubble Bobble (Taito) and the video game adaptation of Street Fighter: The Movie (Capcom). As noted by Eurogamer, Liquid Media does not own the actual rights to either of these franchises and only has access to the stock-keeping units (SKUs), originally published by Acclaim. Were you a fan of Acclaim Entertainment back in the day? Have you played any of the listed games before? Would you like to see anything, in particular, get revived? Tell us in the comments. Would be awesome to see a new NBA Jam and All-Star Baseball. Especially the latter since the only quality MLB games these days are tied to Sony. Darn, no Wizards & Warriors listed among them. C'mon, guys, at least give it back to Rare so they can add Kuros to Killer Instinct. That was the only thing I could think of that interested me from Acclaim, then it was nowhere to be found on that list of mostly shovel ware! W&W deserved better than it got over the years. I guess it's completely lost to the NES days, not even a collection rerelease in sight. Too bad. This is confusing... does it mean they have a right to publish these games, even though the franchise are owned by other companies? A lot of them seem to be tied to licensing deals and unusable, but I guess they could make a non NFL ‘Quarterback Club’ or a non NBA ‘Basketball Jam’, although it seems like a lot of expense for not much gain to me. Unfortunately most of these games are either licensed franchises with expired owner rights or just published by Acclaim and not their own. It seems the best things (like Extreme-G, Forsaken, and Turok) were already bought away by others and these are the leftover crumbs. @MrGawain Is this list official? I think they can pick only a handful of them. Most of these games have different copyright holders now. The one game that stands out to me is Wetrix, but it was developed by Zed-Two and published by Ocean. If these guys really have the rights to that bunch, at least they acquired one real gem. I hope they can do a HD remaster or something with that game. It's really unique and addicting. It looked great and I lost my N64 copy. The only game on that list that seems interesting to me is Bubble Bobble. When did Acclaim get the rights to that game? @Sinton TAITO has the rights, and since they were bought by SQUARE ENIX, Bubble Bobble is basically theirs now. Acclaim only made a few TAITO ports and changed the name of Puzzle Bobble into Bust-A-Move for the western market. I just want Bubble Bobble on Switch in some form. Seems like a bad deal even if they did have rights to all the games. Wait is this the same company that the Shokan hates? I mean in MK1 Goro hit the Acclaim logo then in MKII Kintaro stomp them to the ground. I would take a Switch wetrix. Really odd take on the tetris formula which I enjoyed a lot. @SKTTR Ah, right, I thought Taito themselves released it in the west. 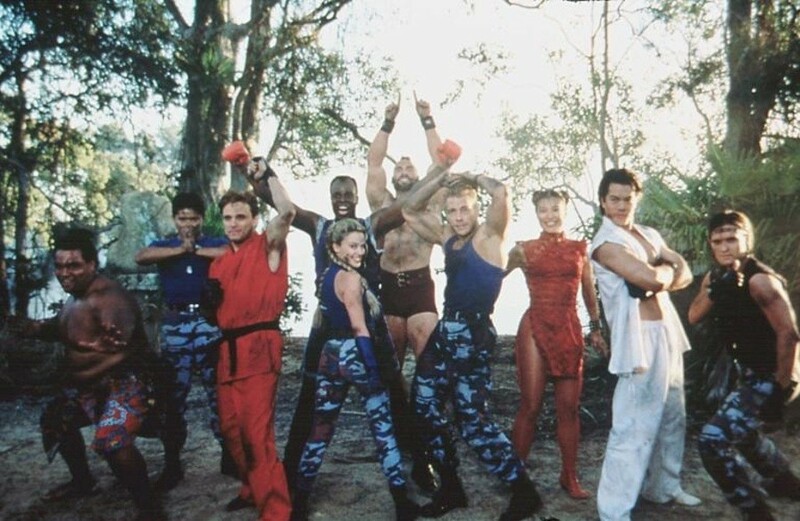 Ha I just bought street fighter the movie on saturn! @PixelStef @justin233 Hamster have already released Bubble Bobble on PS4 so it's just a matter of time until it arrives. Spelling mistake "Candian Studio, Liquid Media Group"
Oh yeah, Dirt Trax FX. Good times. The motocross game that changed the music depending on who was in first place. Tricky game, but fun once you get a handle of the controls. Ah Acclaim. My NES childhood. Double Dragon II... Wrestlemania... so many licensed memories. Some of which will stay that way. I'll be honest, at first I was excited that a company purchased these games in hope of breathing new life into them. However, once I found out that Liquid only bought the rights to those specific games and not the actual license of the series, I can't help but think they bought garbage. Who wants to play an HD remake of NBA Jam 2000? I think everyone wants a new Bubble Bobble or Bust a Move, or a NBA Jam with current players. This news is wholly disappointing. The list makes this less interesting. Retro stores can't sell most of those old sports games for .99 cents let alone any sort of re-release or remake. They must have plans or something for dropping seven figures on them. A lot of Acclaim games missing here. Bubsy, Fur Fighters, etc. I wonder who owns those? @NEStalgia Bubsy is owned by Accolade though, a totally different company from Acclaim. Ahh, good point. I get all the "A"s confused. Acclaim, Accolade, Activision.......they're all just Atari execs trying to come alphabetically first. Street Fighter is full of hilariously delicious cheese. If only they could have had the license for Burnout. EA obviously wants nothing more to do with it. I'll take a remaster of Burnout 2 any day. |sf>Looking at the list, I vaguely remember Cyberoid & Kwirk from the earliest days of the black & white Gameboy era. Kwirk had a mascot of a tomato who wore sunglasses. I think I might own one or both of those, but I can't say that I've played them lately. The Bust-A-Move franchise was a lot of fun and that would still work in today's gaming world. Those are the gems from this list. When I see an announcement like this, coupled with the press release, maybe some of these titles could find their way onto some of the competition for the NES mini or a future Gameboy compilation. The odd title on that list for me involves "Frank Thomas Big Hurt Baseball." The pinball for that already appears in The Pinball Arcade on the Switch, so who would really want a downgraded experience of it? Perhaps there was an actual baseball game collected to that title which was separate from the pinball machine?